The Buff-bellied Hummingbird has a strange range -- some birds fly NORTH for the winter! The breeding range extends as far north as the Rio Grande Valley in Texas, but each year some birds winter across the northern Gulf Coast of the United States. You can customize this gift! 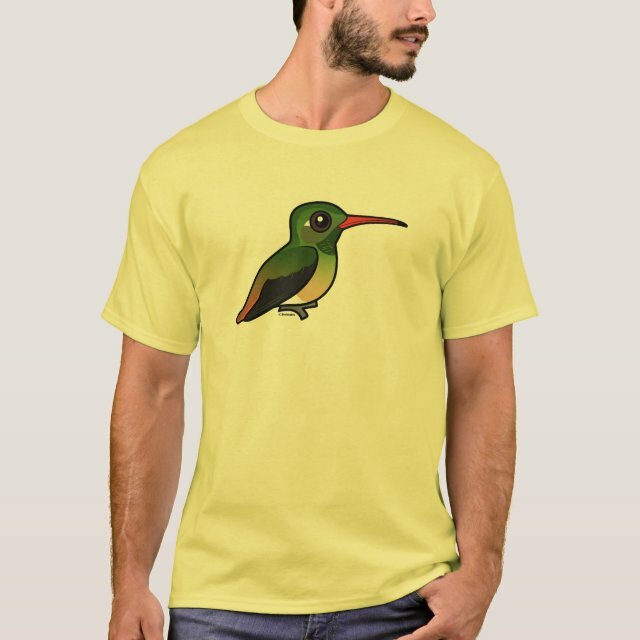 Move the hummingbird around, change the background color or style, add text or images -- make it your own!